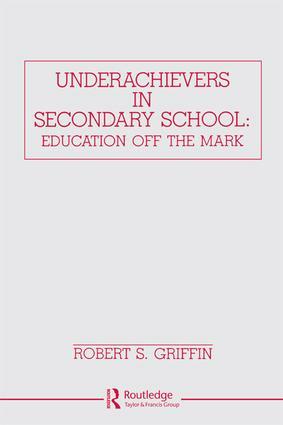 Underachievement is approached from a broad, integrated perspective in this insightful look at the talented adolescent who always performs below his or her optimum level of achievement. Professor Griffin examines the psychological, social, and scholastic reasons behind the phenomenon of the distracted and disengaged high school student. The result of this in-depth study: A unique volume describing effective student learning behavior, providing curricular and instructional proposals for motivating underachievers, and offering a construct that provides the basis for understanding the various factors that account for academic achievement. AN EXPLORATION OF TEACHING Teach for What?